1 What is Beasts of Bermuda? 2 What does Beasts of Bermuda offer? 3 Where is Beasts of Bermuda in its development? 4 What creatures are planned to be playable? 5 Why does Beasts of Bermuda need Donations? What is Beasts of Bermuda? In Beasts of Bermuda, you play as a prehistoric creature native to the mysterious islands of Bermuda: a tropical ecosystem absent from any human contact. With its proneness to storms, forest fires and shifting tides, Bermuda is an ever-changing ecosystem. 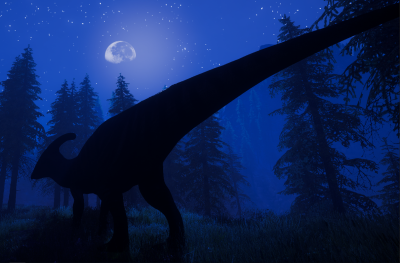 Choose from up to 18 available creatures, herbivore or carnivore, and battle your way through the severities of hunger, thirst, stress and predation, which constantly threaten your survival. Play whatever suits you best, whether it be a flying, swimming or running creature, and thrive the islands. It is currently under development, and release December 21st 2018 as a primarily multiplayer server experience. Play it now! What does Beasts of Bermuda offer? Beasts of Bermuda offers the experience of playing in unique niches as an aquatic, flying, or terrestrial creature. 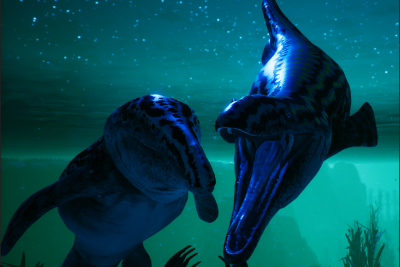 Certain creatures specialise in unique gameplay. For instance, piscivores offer a different lifestyle to traditional carnivores as they are both adept at swimming and running. It also offers unique map elements. Whether you're seeking a cave for shelter from a storm, waiting for the tide to drop in order to walk across to a new island, or migrating to avoid a forest fire or depleted watering hole, the map is always changing and the world is alive. The playable creatures in Beasts of Bermuda all have their own unique abilities. Some can grab, others can pounce. Some can even climb up walls. Large carnivores can sniff for prey, and herbivores have special bonuses for herding together. Every animal is different in Beasts of Bermuda, and a lot of effort has been put into making them fun mechanics to enjoy. Comfort is a unique mechanic to Beasts of Bermuda. Comfort determines how healthy your creature is. At its highest peak, a creature can grow well and healthy. At low comfort, however, a creature becomes stressed and may die. Stress can be caused (but is not limited to) by standing near too many carnivores, exposure to a harsh storm or losing too much health. Beasts of Bermuda also gives players free choice of how they want to look. Skins are completely customisable, allowing the player a free range of colour choices, whether it be for camouflage or dazzle. Additionally, the talent mechanic lets a creature level-up and spend points into different kinds of play styles, such as extra health or speed. Breeding is also available; offspring will be mixtures of their parent's corresponding skins and colors as well as occasionally sporting leucistic or melanistic traits. Many different challenges are always present on the islands of Bermuda that threaten survival. One must find food and quench their Thirst in the ever changing environment. Different animals the player can choose from having different means of obtaining food. Some are carnivores, needing to hunt and eat other players to survive. Other creatures are herbivores, and thus have a more peaceful means of eating. Piscivores are a mix, being capable of eating other players, or eating fish for survival. Along with the necessities from day to day survival, mother nature is always at your heels with unpredictable Weather, keeping the game interesting and entertaining to play. Free Roam - In this mode, the player can select any creature to play as without cost or punishment for death. In this mode, the objective is what you make of it. There are many different objectives players frequently take on, be it achieving a high score, taking down others in combat, exploring the map, or herding up and socializing. This mode offers a relaxed atmosphere in which the player can do as they wish. We've been discussing additional game modes due to interest and feedback among our community, and we have a few ideas we would like to implement. Life-cycle - Gamemode in which the player starts as a juvenile of any species they wish and continues to grow, becoming more powerful over time in a multiplayer environment. Gradual ontogeny is also a feature under this category that adds to the realism aspect of growing from a juvenile to an adult; eventually, accompanying model changes differentiating younger members of different species from their older counterparts. This mode is coupled with a talent or skillpoint-based system, in which the player becomes more powerful in ways they can choose. Combat-based system - A player must successfully hunt and kill other players in order to gain points. Here, risk vs reward will very much be a factor as the larger the foe you down, the more reward you will gain. Regardless of the selected mode of play settings may differ from server to server based upon their owner's preferences. Where is Beasts of Bermuda in its development? Beasts of Bermuda began development on January 16th, 2017. Currently, the game offers a fully functional game world with many combat mechanics and map-based survival elements already in place. Make no mistake, our game is still pre-release and is still very much under development. Future development will likely focus on expanding our playable creature roster, improving the quality of our graphics, models, and general assets, and then implementing additional game modes beyond Free Roam. The development team has recently announced on their steam page that Beasts of Bermuda will be releasing on December 21st, 2018. Also within their steam page, is their patch notes where you can read in detail what new mechanics have been implemented. The best way, however, to keep up with development is to join their discord here: https://discord.gg/KZKzGTT where you can ask the Devs in the appropriate channels about the current build of the game. See Why was Beasts of Bermuda created? What creatures are planned to be playable? The following creatures have been confirmed for Beasts of Bermuda and have a model. Most will be playable upon EA release. The following creatures have been confirmed to be added to Beasts of Bermuda but do not have a model yet. They will be added sometime after EA release. It is likely the following creatures will be playable due to our interest in expanding the niches available to players in Beasts of Bermuda. Many of these animals are selected due to their unique niches or ability to utilize certain gameplay mechanics. Many are piscivores, aquatics, flying creatures, or semiaquatic animals. 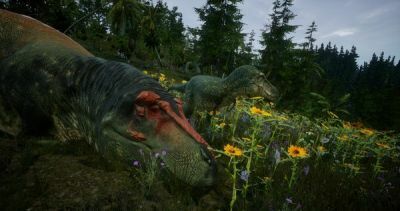 Discussed creatures are animals that have been discussed to be added, but have not been confirmed and are less likely to be added. The developers hope to have at least two creatures of every type to the game. With the proper resources, some of these creatures may be added. Where the words (one of) appear, only one creature of that group will be added. Of course, this list will extend. You have a channel in the discord of the game to suggest dinos with unique abilities. Why does Beasts of Bermuda need Donations? Beasts of Bermuda needs funds to commission and contract professionals for services related to modeling, animating, sound creation, skin design, level design, and just overall improvements. Up to this point, the game has been created by Predatoria and Vipe, two indie developers focused on the coding behind the game, with freelance contribution from several contributors. Most of our current models are from asset stores and we want to replace them with professional models. To bring our game to the next level of quality, we need to network with professionals in all departments of game design rather than just indefinitely coding more mechanics into the game, which requires funding neither of us can afford to do. There are also a rank of donators. These ranks are reached when some people make a certain amount to their donations. What platforms will Beasts of Bermuda be available on? Currently, Beasts of Bermuda only has Windows support as adding support for other operating systems is low on our priority list. In the future, MAC and Linux support will be added as well. Steam will be our method of distribution. Beasts of Bermuda is a PC game and will not function on consoles. When will Beasts of Bermuda be officially released from Early Access? As of right now there is no current confirmation, as it has just entered its Early Access phase. 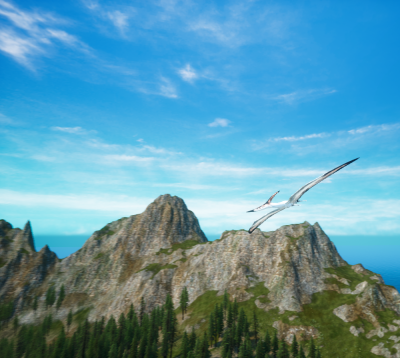 Will Beasts of Bermuda have singleplayer support, or will it strictly be a multiplayer game? Beasts of Bermuda is being created as a multiplayer game. If a player wishes to do so, they can host a server and play alone, but multiplayer play is strongly encouraged. How much will Beasts of Bermuda Cost? Beasts of Bermuda will very likely cost $20.00 (USD) and will be purchased on Steam. How can I keep up with Beasts of Bermuda's development? There are also several youtubers who regularly make videos of BOB. Can I play Beasts of Bermuda?